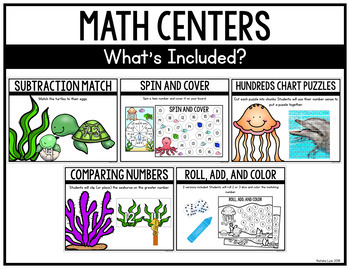 These ocean themed math and literacy centers are perfect for summer! 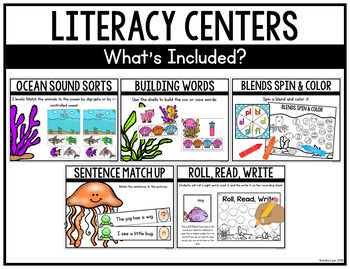 5 literacy and 5 math centers are included that are at a "just right" level for kindergarten! 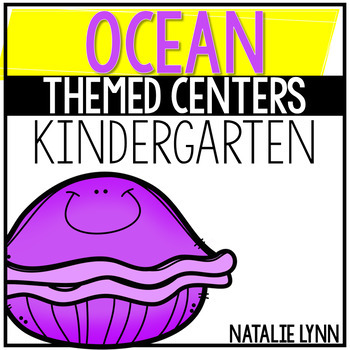 All centers include a color and black and white ink-saver version. Almost all of the centers include a recording sheet (only games do not)!